[New for 2014] Back to Donelan's to see if they've restocked their supply of Dean's ice cream... yup, they have, and while I usually shy away from birthday cake flavors, I am beyond starved today (plus it's on sale at $3.99). 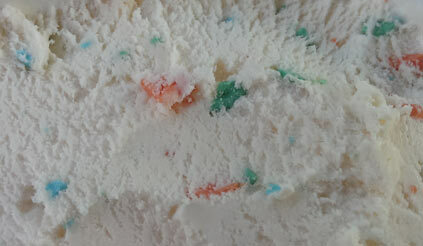 Opening shot: bright white ice cream with what appears to be those sugar chips we've seen in Perry's ice cream. Hey, whatever works! I take a bite and realize something. I take a few more bites and then confirm that something. This one is totally non-offensive. 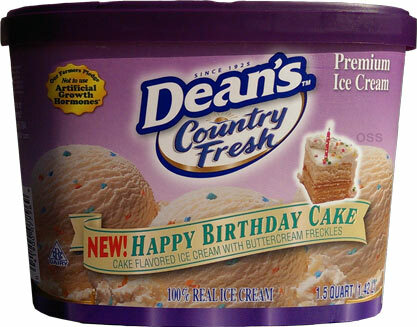 You guys know I fear the overly sweet birthday ice creams but this is as far from that as possible. The freckles (sugar, coconut oil, etc) add a fun factor without messing with the flavor or making you fear for your teeth. You wont even notice the little bits and then the bigger bits just add a controlled crunch here and there. It spices things up without going crazy. So, you catch my drift on this one right? It's just a pleasant flavor, almost with a sweet soft serve flavoring to it. This would be great at a birthday party because it's gotta go great with a slice of vanilla cake. It's fun for the kids and then you just tell the adults "don't be afraid, just give it a bite and you'll like it". 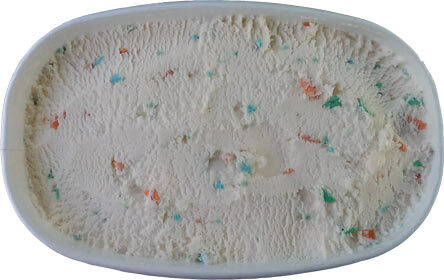 On Second Scoop: Yeah, ok, the cake fans will be annoyed with the lack of cake flavor here, but I still think you should try this sweet flavor. Oh, and don't bother trying to extract the freckles. 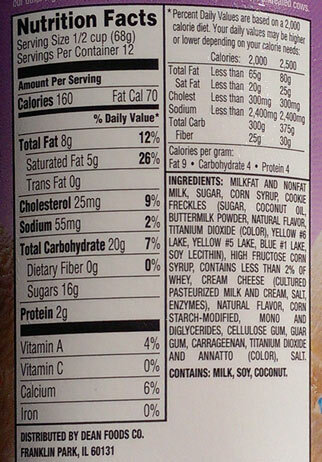 Let their sugar crunch be, trying to sample them on their own isn't very rewarding (not bad, just not exciting). 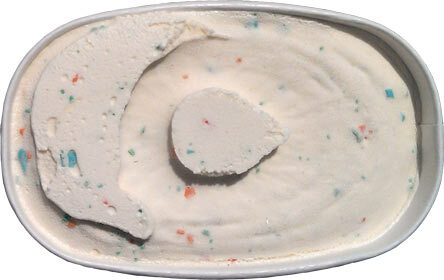 On Third Scoop: I have to say something, I think I'm already getting a little bored with this one. It seems like every time I try it, the less flavorful it tastes. It just tastes more normal.... I wish there were some cake bits in here too. Ahhh, maybe today was just an off day.